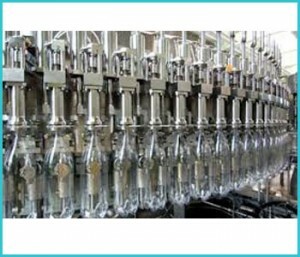 We are the manufacturers & exporters of Bottle Filler Lines like Liquid Bottle Filler Lines , Powder Bottle Filler Lines for syrup, dry syrup, oral liquid, wine, liquor, beer, water, milk, oil, shampoo, hair oil, oil, chemical, juice & other liquid products. You need above machines for complete automatic bottle fillier line or you can buy individual machine as per your requirement. Please send us your detail inquiry to send us the quotation. You need above machines for complete automatic bottle Powder filling line or you can buy individual machine as per your requirement. Please send us your detail inquiry to send us the quotation. Automatic Liquid Syrup Manufacturing Plant. Our product range also comprises of Sugar syrup making machine, Liquid oral manufacturing plant, Syrup making machine, Oral liquid manufacturing plant, Syrup tanks,Liquid syrup processing plant, Liquid syrup processing unit, Liquid oral processing plant, Liquid oral processing unit, Automatic liquid syrup manufacturing plant, Automatic liquid oral manufacturing plant, Automatic oral liquid manufacturing plant, Liquid sugar syrup manufacturing plant , Liquid manufacturing plant, Automatic liquid manufacturing plant, Sugar melting vessel, Sugar melting tank. You need above machines for complete automatic bottle Powder filling line or you can buy individual machinery as per your requirement. Please send us your detail inquiry to send us the quotation.